It still does give resistance and strength to the people that work the land of the cocoa plantations in the Southern part of México. While working as a School Teacher for 2 years in a Cacao Bean plantation in Tabasco, I saw first hand how the men would go to work very early in the morning, carrying with them a full canteen of “pozol.” A drink made of water, corn dough, and ground cocoa beans. Pozol sustained them in their hard work until the midday hour when the high temperatures would reach 90 degrees in the jungle-like area of southeast México. Pozol is a drink is for the summer. Since today is a cold day, it calls for a hot drink to nourish and keep our body warm. Champurrado, similar to pozol, is a hot thick drink also made of corn dough and chocolate. 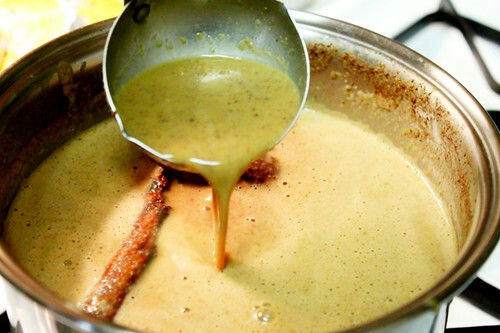 There are several variations of Champurrado. Some add water, milk, or both. Some even add star anise for extra flavor. 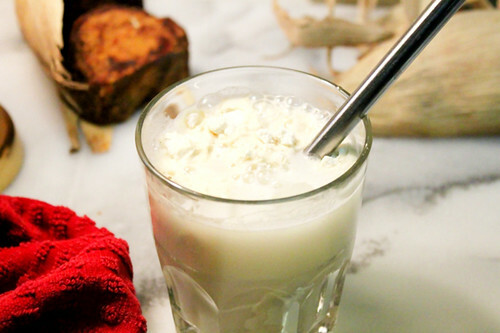 Here is my personal recipe for you to try and enjoy in these cold days. Champurrado is a hot thick Mexican drink made of corn masa and chocolate. 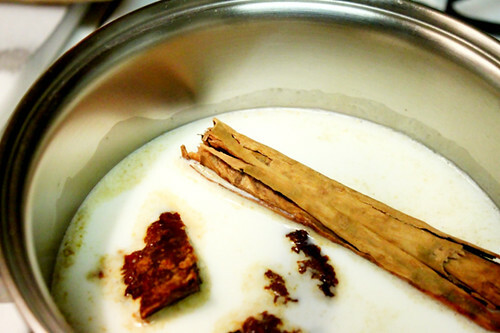 In a medium size pot, simmer the milk along with the piloncillo, cinnamon and chocolate until it dissolves. This will take about 6-8 minutes. Mix the corn flour with the 2 cups of water until all the lumps have dissolved. If needed, use a strainer to get a fine mixture. Add the corn flour mixture to the pot and stir. Keep simmering at low heat and keep stirring for about 8-10 more minutes until the chocolate has a light gravy consistency. Warning: Since this is a slightly thick drink it is hotter that you may think, be careful while serving and drinking. * The Champurrado’s consistency is like that of a light gravy. If you want a lighter version, reduce the amount of corn flour to 1/3 cup. * If fresh corn masa is available in your area use 1 cup of masa instead of the corn flour. When buying Piloncillo or Panela, make sure it is pure. Some stores carry a look alike version that is just regular sugar in the form of a cone and doesn’t have the flavor or nutrients of Piloncillo. * To easily cut the piloncillo, warm the piloncillo first. This will soften the piloncillo. Have you ever had Champurrado? What’s your favorite warm drink during this time of the year? « Are You A Holiday Perfectionist? I had some for the first time last year. I wasn’t sure what to think. I am going to try making it myself this year! 🙂 My favorite drink this time of year is my own tea blend or hot cocoa. This recipe calls for to much piloncillo and to much chocolate i just made it and for me to much pilon + to much chocolate = diarrhea. Trust me cut the amount in half ? This sounds delicious! I’ve seen piloncillo but not known what it was! Now I know and I’ll have to watch out for the pure variety. Are there any corn flours or masa that are non-GMO that you know of? Jasanna, I’m pretty sure Bob’s Red Mill is gmo free. This is the brand that I buy. So interesting that you add corn flour at the end. I’ve made Mexican hot chocolate by just melting Ibarra in milk, this is definitely a step up. Sara, that is because you made Mexican hot chocolate correctly. This is a different and distinct drink. To Sarah, if you add the corn meal too early, it will stick to the bottom of the pot and will taste it. That’s why you add the corn meal or flour at the end. Some people add Nutmeg too, does the original recipe call for this? I want to make some Champurrado! Set up? It’s not a recipe for hot chocolate. It’s a recipe for champurrado. There is a man and wife that come to our house about every 2 weeks selling tamales. In the back of their car, nestled between the pots of tamales, is a big cauldron of champurrado. The gentleman says it’s the recipe his grandmother made for the field workers back in his home town. It has become a special treat for me. Thank you for posting this recipe, now I can share it with my friends and family! This is great! my mom is at mexico and im recieving a posada in a few days. my cousins dont know how to make it so this helps out a lot! Actually what boosts your supply is the amount of fluids you are consuming and not necessarily the contents of the drink. This is why many other cultures such as Japanese, Chinese, indian, Mexican, central American, south American, etc. have similar customs of having “fluid” type foods to boost their supply. I can’t wait to try making Champurrado, I’m planning on asking my grandmother, since my mom has no idea, but this recipe sure is a start. both fluids AND solids boost supply when nursing. champurrado seems an excellent and delicious way to accomplish this. As a young boy I remember having this drink on Christmas and there’s nothing in my opinion that comes even close to the aroma that fills the house and that sweet comfort chocolate drink brings a smile every time to my face. You are right Angel! Champurrado and Café de la Olla are the best. I love atole the masa 🙂 and maizena…hmmmm…but tonight I will be making champurrado, thank you for the recipe. My dad used to make us atole and I just love it, especially the memories of my dad that come to mind now that I make it. I have never had champurrado but I will definitely be making it. Thanks for the recipe! Now I can make my own! I tasted it for the first time yesterday at a Resturant in town…And it was very tasty…Thanks for the recipe I sure will make it for my family…. which restaurant did you taste champurado at? I love this drink , I will be trying this recipe, I usually buy it from Food City in Phoenix AZ , this year I have moved to Nebraska and do not have the luxury of running to the market for a quick cup, at least I have not found it yet, THANKS FOR THE RECIPE AND A TOUCH OF HOME ! LOL, same here pretty much except for me it was from l.a. to the frozen tundra of michigan! i’ve since returned to southern california, but my michigan years taught me to prepare my favorite mexican dishes very well (and i’m not mexican)! My dad had friends that ran a bird sanctuary that helped zoos, etc breed endangered birds. The husband was a world renowned bird expert. So the sanctuary partnered with several veterinary colleges on an intern program. The expert was nearing retirement age, and his sanctuary wanted to ensure that his practical knowledge wasn’t lost–he’d successfully bred birds that hadn’t been bred in captivity before–like certain endangered flamingos (they didn’t like huge habits, so the sanctuary put mirrors in the enclosure pool so the birds though they were in a larger group). Because of our conversation, I knew where to find Mexican chocolate slabs and what to do with them. I also got some masa to make homemade corn tortillas, and I also surprised my husband with a variety of cinnamons from Penzy’s–he absolutely adores cinnamon toast made from the fresh “English toasting” bread sold at our local grocery that sells a lot of ethnic foods for the wonderfully diverse area I’m lucky enough to live in. I can also get fresh crumpets. I had never heard of Champurrado before, but thanks to my stepmom and friend from Venezuela, I already have all of the necessary ingredients. Thanks for this recipe, I grew up in California and we had delicious Champurado made at our church as soon as the weather changed. Now that we’re on the East Coast and I seem to be the only Mexican around, I’m thankful for this site so that I can make it now. It’s hard to find ingredients but I’m determined. I love traditional foods and had run into the same problem here in GA, but I searched and found the MECCA of latino/hispanic stores. I’d be happy to mail you some of the things you can’t find in your area….. If you’re using fresh masa instead of corn flour, how much do you use? Still a 1\2 cup? Thank you for sharing this recipe. When I was younger, my Nana made this for me, but I was too young to be concerned about how it was made! Huge regret! I wish I had this and her simple pinwheel cookie recipes! Fortunately, I was part of the tamale making team at Christmas time! I am black and I love love love love love Mexican food and drinks. A friend of mines always tellls me how her mom makes this every Christmas. I am so glad you have shared the recipe. Thank you, I am going to do this myself this year! Thank you thank you. You know the only place I to buy Chapurado is with the Tamale People on the Corner & I always wondered how this wonderful winter drink was made. I didn’t occur to me to look it up until a co-worker asked me. I love the description you left on how & when we used this in Mexican History. Thank you so much for sharing. what are these gorditas you speak of??? I had this in Mexico in 1953 and have always wanted to fix it. Thanks for the detailed recipe. I just made it for my kiddos. I added a little bit of oatmeal and grits. My 1 yr old loved it. It’s delicious! Thank you for posting this recipe. I assumed Mexican champurrado was identical to Filipino champorado, but I was wrong (the Filipino version is a rice porridge with cacao). The Mexican version sounds like a comforting drink. I look forward to making this for the winter! Thanks for the recipe! I just finished making it and it taste delicious. Can i use chocolate la abuelita instead of the chocolate you described? Yes, you can use other brands of chocolate. I’ve been thinking about this drink. I had it last winter and it took me to my childhood and a lost memory of a posada. Having a pot on my stove makes me think of my grandmother. Happy tears. Thanks for sharing that sweet memory with us! I had this at a” peace”artist’s holiday market in San Antonio in 2007. It was being served to the early shoppers .. It was so warming and comforting ..I’m a lover of food and creativity. . My grandmother on father’s side is full blooded Hispanic and a 2nd generation Mexican American. I often feel disconnected from this part of me.. so any way I come across a way to connect with my rich and beautiful cultural ancestry is a true treat! I am a culinary arts major. The corn flour gave an earthy taste. It wasn’t took sweet but a very delicious way to keep warm! Thanks for sharing that, Elizabeth! I love atole, blue corn meal, so I always have some on hand. I wanted to make some champurrado, but did not want to go to the market to buy some corn flour. I milled the atole in my blender to a flour consistency and used it instead. It came out delicious and the atole I have is non GMO. How long can champurrado last. How do you store it once you’ve made it. At church someone made champurrado 3 days ago. I got a small pot to take home. I’ve had it in the refrigerator. For how long will it still be okay to consume. How long can champurrado last. How do you store it once you’ve made it. At church someone made champurrado 3 days ago. I got a small pot to take home. I’ve had it in the refrigerator. For how long will it still be okay to consume? Thanks for your help. Since it is made using milk, it will be safe just to store it for a couple of days. You can also prepared the atole with out the milk, and it will last more time, just add the milk when you warm it up. Ive made this twice and I love it! Its very easy to make and taste delish. Taste just like my moms, thanks for sharing! I personally recommend Mexicos own chocolate like Ibarra or even Nestles Abuelita is more authentic than Taza. It just started getting cold (relatively speaking – I live in Central CA). My neighbor brought over a cup of this to-die-for hot chocolate! Oh my gosh! 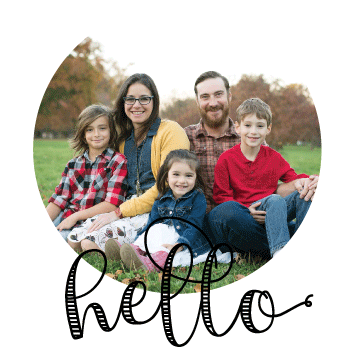 My husband didn’t like it – so I drank his, too. Thank you for the recipe. My neighbor doesn’t speak English and my Spanish isn’t that good. We are going back to WI to visit our kids and I am going to try to find the ingredients to make a pot. Especially with the winter they are having, this will be a great treat.